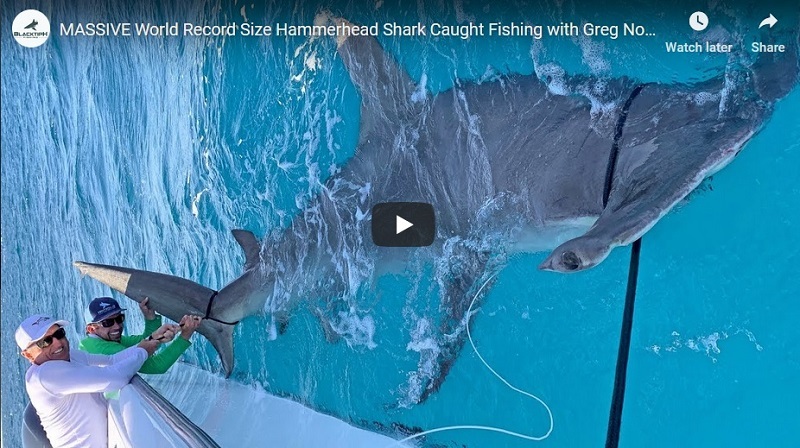 Video has surfaced of a 10 to 12 foot great white shark in the Florida Keys. The video was filmed Saturday in 15 feet of water on Alligator Reef which is off of Islamorada. Captain Chris Mueller was carrying a charter of 13 people to go snorkeling on the reef. His mate Greg Schlosser was watching the first group when he spotted the shark. He quickly told Captain Mueller that he had spotted a great white shark. Schlosser was able to enter the video to confirm it was a great white shark and was also able to film a short video of the shark. After watching the shark swim around the boat for 30 to 45 minutes the group left the area and headed for a different area to swim. Although it is rare to see great white sharks in the Florida Keys, we do know they travel through the area. In 2014 great white shark Katharine was tracked close to Key West. The 14 ft 2,300lb female shark was tagged by OCEARCH in 2013 off the coast of Cape Cod. After passing the Keys, she traveled into the Gulf of Mexico.